"Price Efficient, Fun, & Improving"
While we first acquired the product simply because of the price, the system has really evolved since. More furniture and alternatives have been added, as well as faster ways for reoccurring users to navigate the site (for speed) have been implemented. Every time a log in, it seems as there are more furniture and miscellaneous options, this helps diversify the way our staging looks from one apartment to the other as to avoid always yielding the same result. This had really helped our marketing efforts specifically toward sales and luxury rental which required special attention to make listings stand out. There is no reason why we would switch any time soon. I honestly don't have any complaints with this product. Customer care is quick and responsive, pricing is great, usability and reliability are always there. In the future thought, webinars and how we can take even further advantage of the system would be appreciated. The system provides a very comprehensive manual which will show you which times of photos can be staged and how to set up difficult layouts for staging as well. There is a lot of competition within residential real estate sales and rentals in NYC these days. 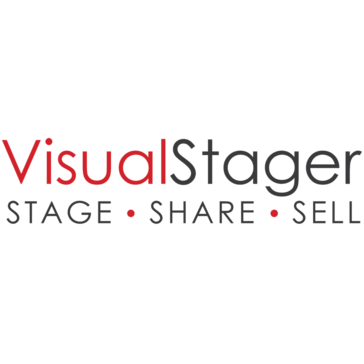 The reality is that not all owners are willing to pay the price of actually staging an apartment for advertising purposes - VisualStager helps us meet those clients in the middle by offering a inexpensive digital solution. With this software I have been able to create incredible scenarios and easily, it has excellent transitions in 3D, its interface is easy to use and has buttons with very ordered menus. What I like most about VisualStager is that it has many stages and furniture that I can use in my creations. The loading of the elements sometimes may take a while to appear, the rest I think is fine, is an excellent software that offers realistic insights. If you want to design environments easily and from any device this is an excellent option. I have been able to create excellent presentations of houses and apartments, since it allows me to remove or add furniture from photographs quickly and easily. * We monitor all VisualStager reviews to prevent fraudulent reviews and keep review quality high. We do not post reviews by company employees or direct competitors. Validated reviews require the user to submit a screenshot of the product containing their user ID, in order to verify a user is an actual user of the product. Hi there! Are you looking to implement a solution like VisualStager?